Have you seen the Coca-Cola "Freestyle" soda fountain yet? 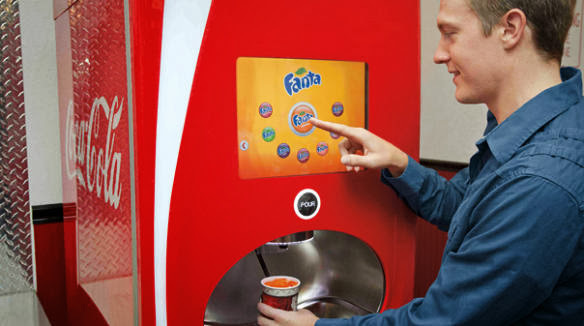 Instead of levers for different sodas, you have got a touchscreen, interface like an iPad and with a Push button you can have 127 Flavors of sodas. There are more than 3,500 such machines are installed inside the world’s Burger Kings and all of them are connected to the internet, so that Coca-Cola can track inventory and making stock decisions. 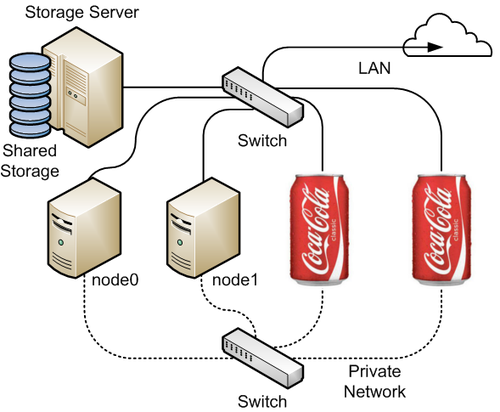 Last week the developer of GNU MACChanger software, Alvaro Lopez Ortega found that Coca-Cola has reserved a huge block of MAC addresses, i.e. 16 Million. These could conceivably be used in the future for tagging physical devices, Freestyle Soda machines or vending machines. Media Access Control address, a hardware address that uniquely identifies each node of a network. Every piece of hardware on your local network has a MAC address in addition to the IP address assigned to it by the local router or a server. IEEE has a Registration Authority called OUI that manages the assignments of 802-defined MAC addresses and usually reserved by companies that sell networking cards and equipment including Apple, HP, IBM, Samsung, Cisco, Intel. No Doubt, "The Internet of Things" is already gaining momentum and now Coca-Cola is in the race. The Internet of Things that promises to make life easier in countless ways, but as with any technology seeing an upswing, it’s to be expected that there will be associated security questions and challenges. All a hacker need is - Search engine like Shodan, designed specifically to locate any devices that have been carelessly plugged into the Internet without much attempt at preventing unauthorized access.